Happy Friday to all my favorite people! Thanks for visiting The Writing Piazza for another #fridayguestinterview. We have a very special guest with us today. 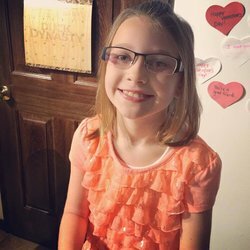 She is the youngest published author we have ever had here on The Writing Piazza and I’m super excited to get things started! Would you mind introducing yourself to everyone? My Pen Name is Lola James. Welcome Lola! I’m so glad you were able to join us for this interview! Can you tell us a little bit about yourself? I enjoy writing, drawing, crocheting, and playing soccer. 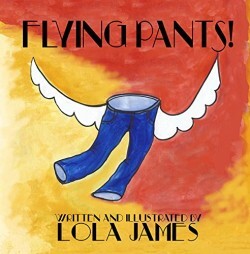 I’m also super impressed that you are so young and have already published a book entitled The Flying Pants. Can you tell us about it? 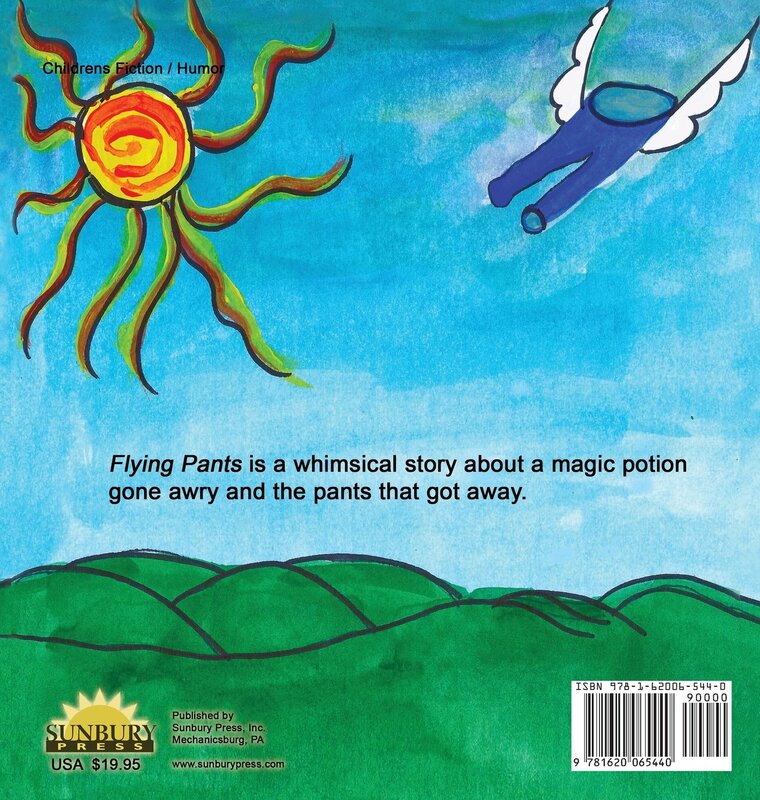 In Flying Pants a little boy names Timmy goes to a potion shop because his pants don’t fit him. Then he gets the wrong potion, Timmy and his pants go on a flying adventure. My book is hardcover and 24 pages long. I wrote and illustrated the entire book. You are just brimming with creative talent! I must confess, I also cannot draw. Even my stick figures are rather sad looking. That’s so wonderful that you were able to use your talents in such a fun way. This is my first published book but I have written other small stories in the past. I started doing these interviews because I want to help other authors (and myself) work on improving our craft. I think there is so much to be learned from other authors who have published already. And I’m also a firm believer that everyone has something they can teach to others if we only listen for it. So a question I like to ask other published authors is about their publishing journey so we can all learn from the experiences they have had. Can you tell us about yours? I first wrote Flying Pants while in school. I shared it with my family who enjoyed it very much. I took it to my art teacher who helped me with all the pictures. My art teacher recommended a publisher and we took it to the Sunbury Press. They enjoyed the story and agreed to publish it if I made it longer. The reason I published my book was to inspire others and give them a fun book to enjoy. I am very thankful for my family, Sunbury Press, and my art teacher for helping me along the way. I think you hit on a very important topic, having supportive people. The publishing process can be difficult and most often we hear “no” a whole lot more than we hear “yes.” That’s what makes having a support system in place so essential. You need people in your corner cheering you on to help counteract the negative. Staying positive is crucial. So let’s think of some more positives, what did you like about writing your book and having it published? Publishing my book made me feel very proud. I love the fact that I can inspire other kids my age to read as well as write books. What advice would you give to other young people who are thinking about writing a book? When writing a book you will come to a point where you might need things added or fixed or taken away but you can’t give up. Once you finished your book you will be very proud of your accomplishment. That is very practical advice. And we are huge fans of practical advice here on The Writing Piazza. So of course I always have to ask, are you currently working on another book? Yes I am working on another book now. Excellent! The world needs more books from young authors! I can’t wait to see what you come up with next. 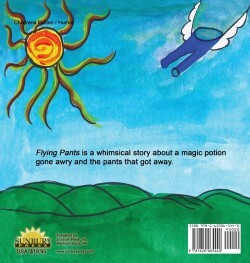 Finally, for everyone interested in purchasing a copy of Flying Pants, where can they go to do that? My book is available on Amazon.com and Barnes and Noble website. You can also purchase my book direct from the publisher. Purchase from the Publisher Sunbury Press. Lola, thank you so much for doing this interview with me. I hope you had as much fun as I did! Thank you for taking the time to write in your blog about me. And as always, thank you to all my favorite people who stopped by to read this interview. Be sure you check out Lola’s book and tell all the young people in your life about it. The world can always use a few more inspiring writers! Thank you for such a great interview ! Thank you for taking the time to do the interview with me!